Much of the composition year was taken up with a Third String Quartet opus 34. Ken got rather carried away & ended up cutting it considerably, down to about 54 minutes, which still makes it one of the longest ever string quartets. He started a new orchestral piece in October. It has been quite a busy lecturing year, with three series of three talks each to the Claremont Project, an old peoples' charity in Islington, where we often go for the Royal College of Music concerts, before which, Ken gives a mini-lecture like a programme note. As usual, there were three talks to the Stuart Low Trust mental health charity & one to Parkinsons UK, now a regular gig. Apart from seven talks on the "Saga Sapphire" as emtertainment crew (not a happy experience), Fred Olsen's scrounged six talks on the "Black Watch" during the Olympics. 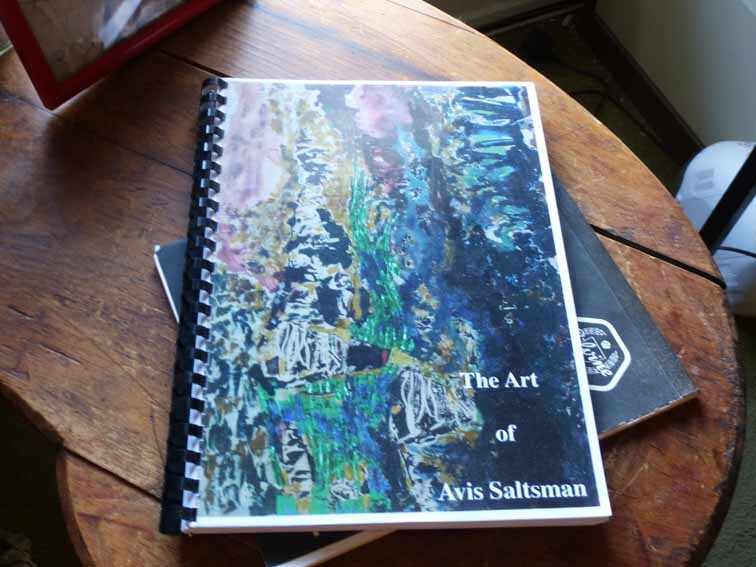 We put together a book about Avis' 60 years as an artist, comprising an autobiographical introduction, a description of methods, over 100 colour pages of paintings & prints, with pictures of her studio & a list of exhibitions she has had or taken part in. We have been selling copies at £25 & it has been going like hot cakes, both locally & at the University of the Third Age we frequent at Hampstead, so we will be seeking a printer who can handle all that colour soon. To buy your own copy, telephone us on 020 7359 6294 or e-mail Avis on this link. "Farewell to the Theatre" by Richard Nelson. Rubbish. "Jumpy" by April di Angelis. Mother and daughter conflict. "The Dark Earth and the Light Sky" by Nick Dear. Intriguing biopic of Edward Thomas & his relations with Robert Frost. "J Edgar" as in Hoover. Good film but a rather kindly biopic of this monster. "Rocco and his Brothers" Avis' idea but not to her taste! "A Dangerous Method" directed Cronenberg. Freud, Jung & Sabina Spielrein. Very good. "The best exotic Marigold Hotel" ...which was in India. Every well-known older actor was in this, with Maggie Smith as an ultimately recovering racist. "Bel Ami" What a bunch of shits! Set in 1890 in Paris & centred round politics & the newspapers, the "hero" (do us a favour!) screwed his way up from being a peasant's son. Apart from the woman who really loved him (& she was cheating on her husband), everyone was betraying someone or something. “Salmon Fishing in the Yemen”. A bit wacky. "Mental" delivers on its title, a daring view of the anomie of Australian suburbs. "Amour". This did, too, in a very different way - the challenges of love & age, where the wife becomes very ill & disabled. We went to all the RA & Tate exhibitions as usual. This page's URL: http://www.art-science.com/Xmas2012/artscene.html Last revised 1/12/2012 Copyright: Ken Baldry 2012 All rights reserved but print it off if you want to.